I’ve been a little un-motivated recently, so I decided I to ride an old favourite route to cheer me up. 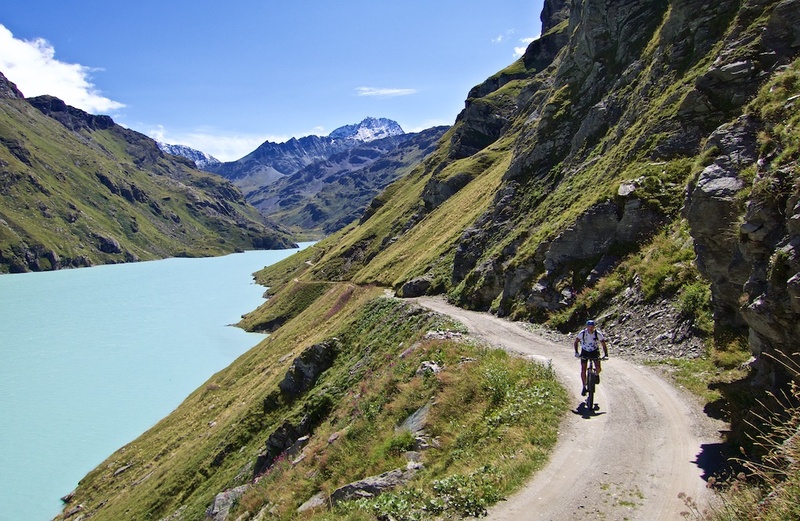 Starting from Le Châble – the start for Verbier – there is a much better climb: The 20 kilometres up to the barrage (dam) and lac de Mauvoisin. The road is paved and a great route. 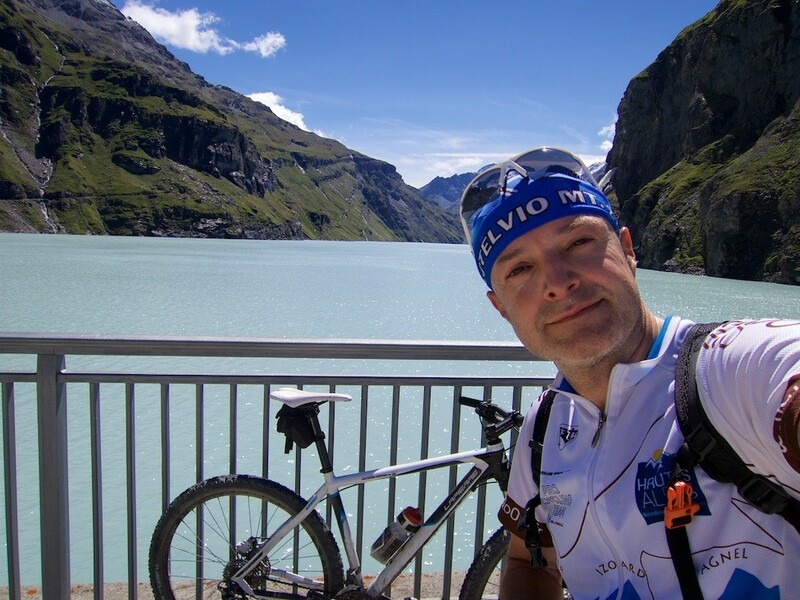 But I brought a mountain bike as the real fun starts above the dam – even if it took me a long, long time just to reach the barrage (1970 metres). Note: The profile above is only until the dam. 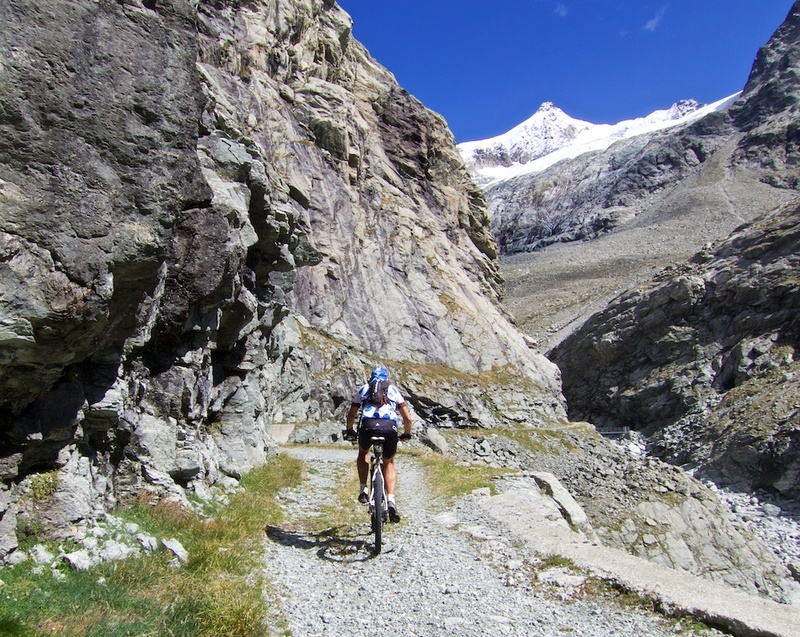 The route goes 14 kilometres further into the remote Valais Alps. Wikipedia says the barrage de Mauvoisin is the 11th tallest dam in the world (6th highest arch dam), and second tallest in Europe (there are several huge dams in the region including a bigger one on the far side of these mountains: La Grande Dixence). 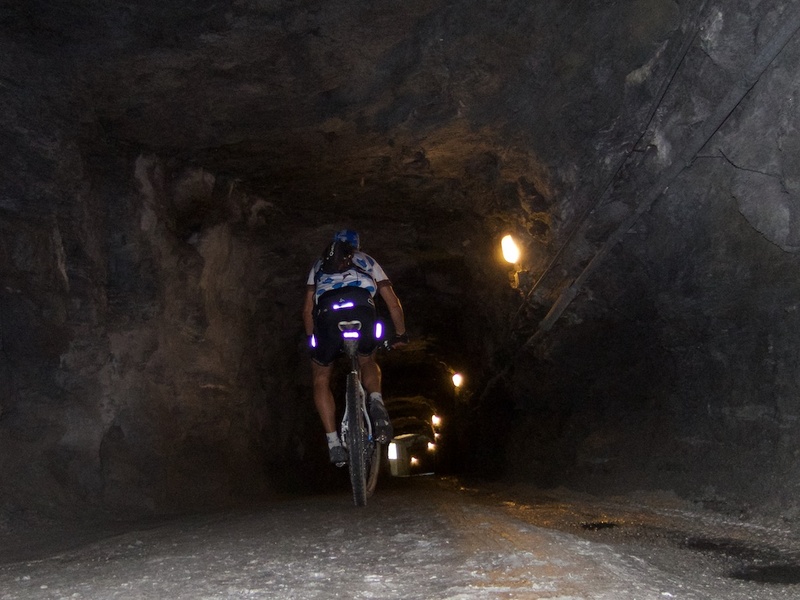 I next entered a tunnel allowing me to get on top of the dam. When the tunnel ends, the real fun begins. It exits well above the water and follows the length of the 5 kilometre long lake. It’s beautiful, remote, fantastic. At roughly 2300 metres there is a plateau. 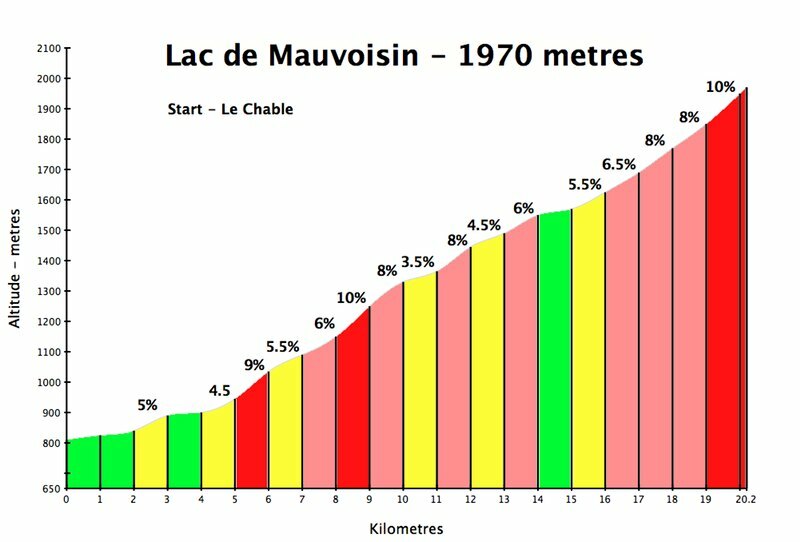 The road can get to 2500 metres at Chanrion just above. I’d ridden it before, so instead I decided to follow a “road” I’d noticed that headed deeper into the mountains. 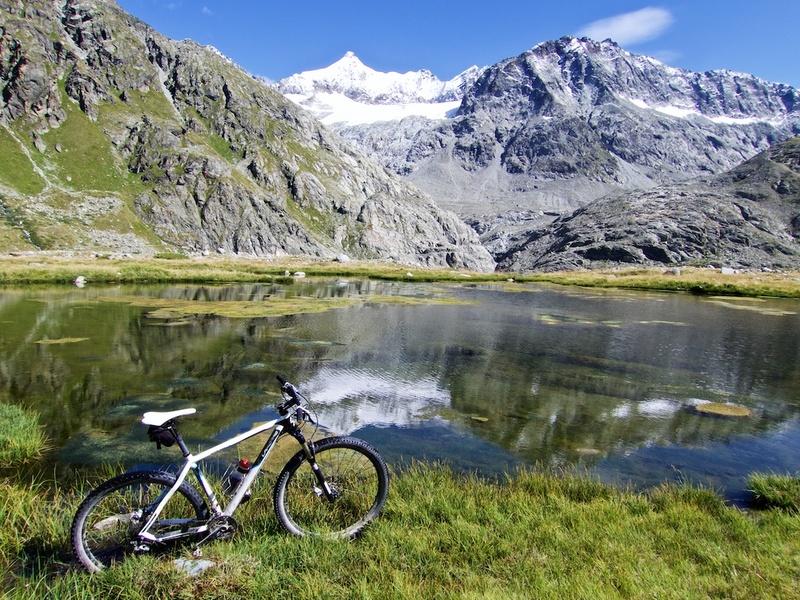 It’s only a couple of kilometres until the road ends at a tiny dam, well below the Glacier d’Epicoune. But it’s worth the exploration. 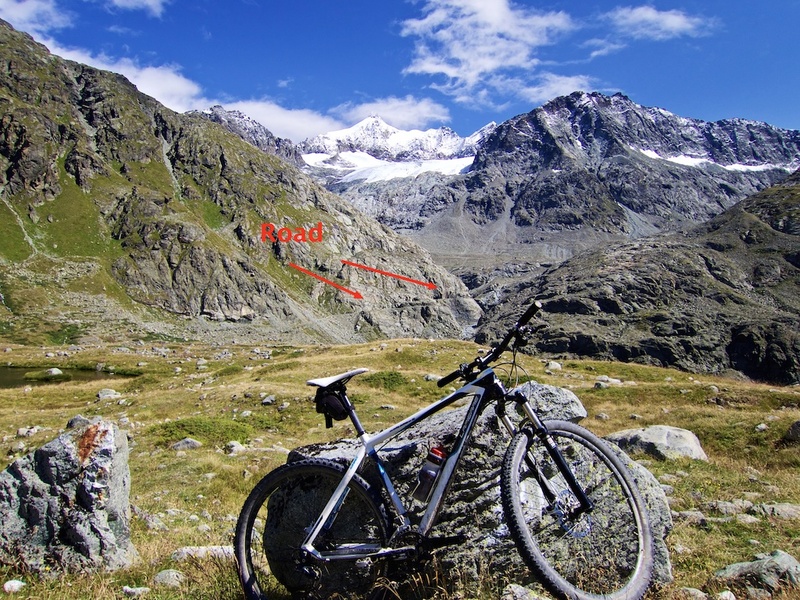 Note, see map: from Fionnay, I descended for a few kilometres on a different road than I’d climbed. Fully paved, very scenic. 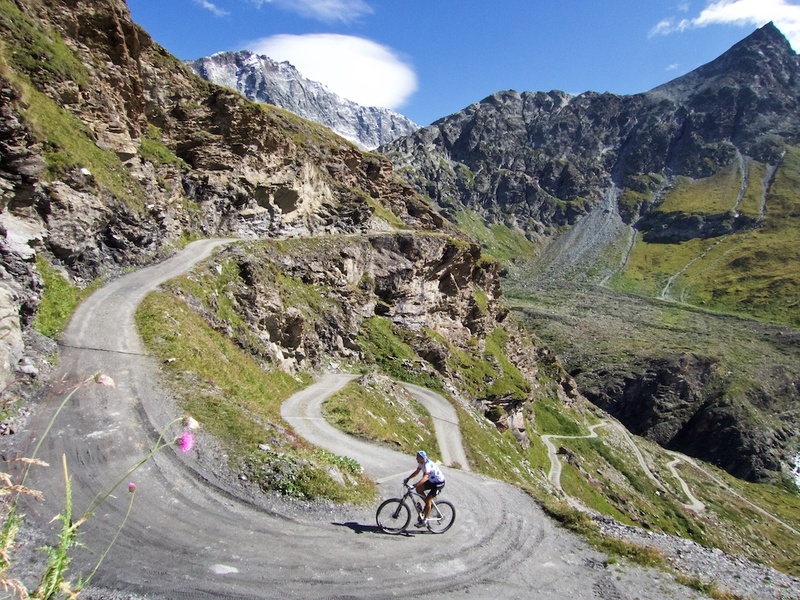 The 20 km road bike climb to Lac de Mauvoisin is already pretty good. 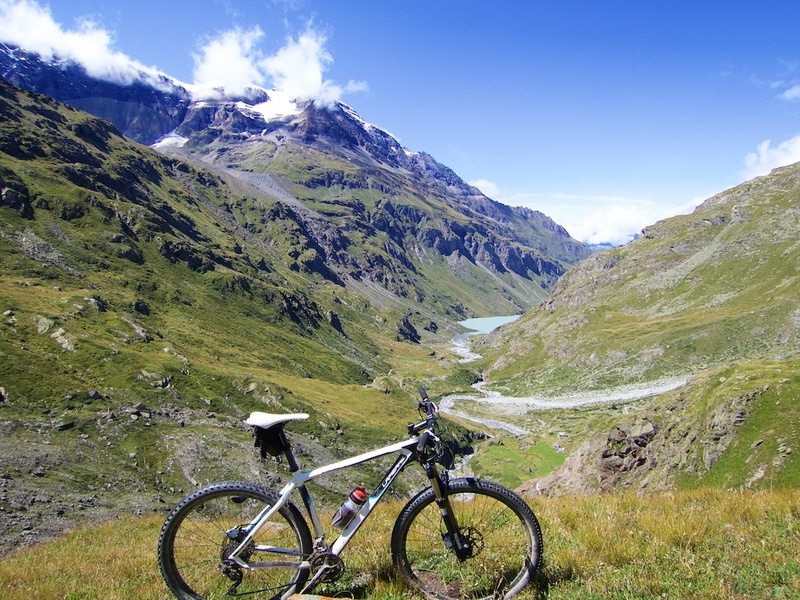 But bring a mountain bike for the real adventure.